Spring represents a time of rebirth; the rejuvenation of that which lies dormant during the winter. In Bloom is a celebration of the joy and love of springtime featuring Beethoven’s celebrated ‘Spring’ Sonata, coupled with the romantic lyricism of Richard Strauss’ Sonata for Violin and Piano. 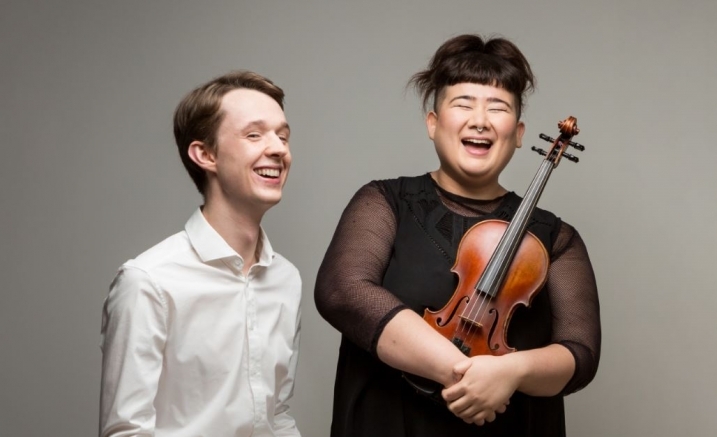 Kyla Matsuura-Miller and Adam McMillan, winners of Melbourne Recital Centre’s 2017 Great Romantics Competition, have woven years of musical collaboration in their student years into an exciting duo partnership. In their debut Salon recital they are delighted to be sharing two sonatas of great joy and youthful ardour.